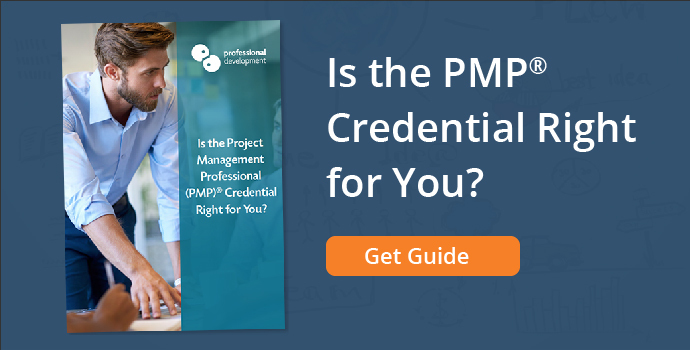 Is the PMP® Credential Right for You? 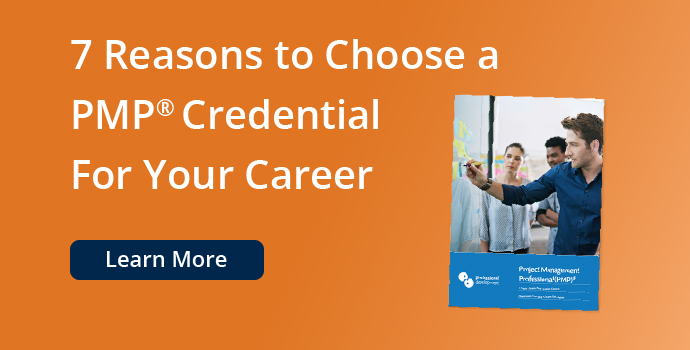 Free Eligibility & Career Guide! 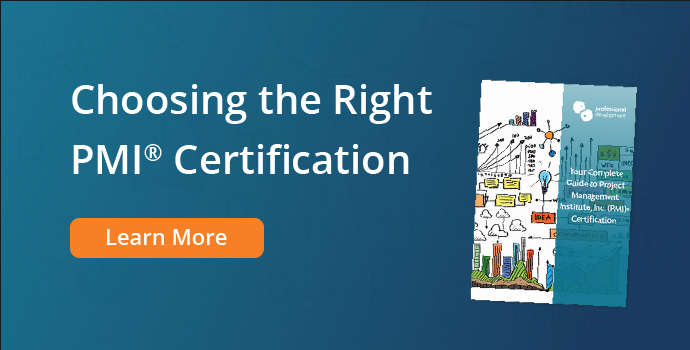 Is the PMP® Credential Right for You & Your Career? 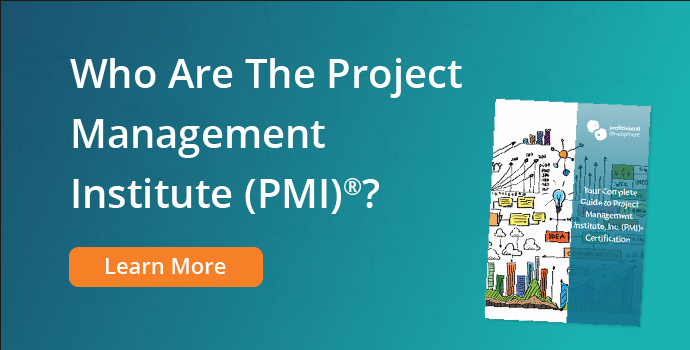 The Project Management Professional (PMP)® credential is internationally respected in all areas of business and industry. 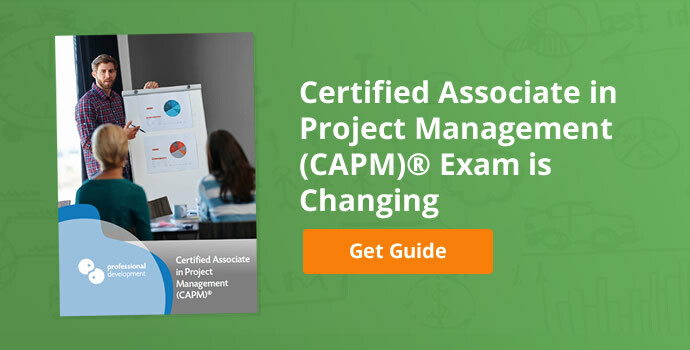 Gaining this prestigious credential is a career game-changer for experienced project managers. 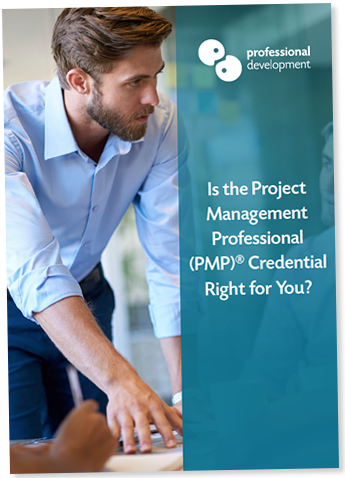 Project managers holding a PMP® credential are in demand across every sector worldwide. 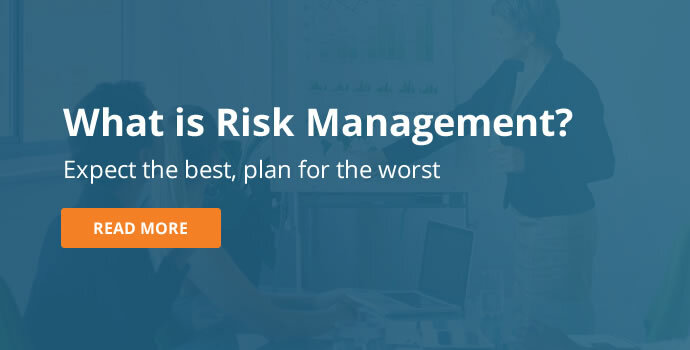 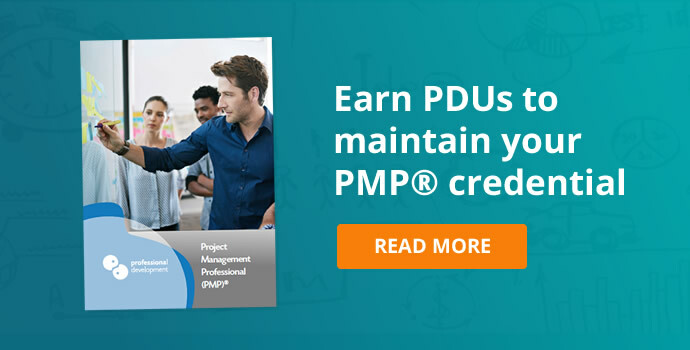 You can read some helpful information about the PMP® credential below, and use the orange "Download Guide" buttons to get our free, 7-page pdf guide on deciding whether a PMP® credential is right for your career. 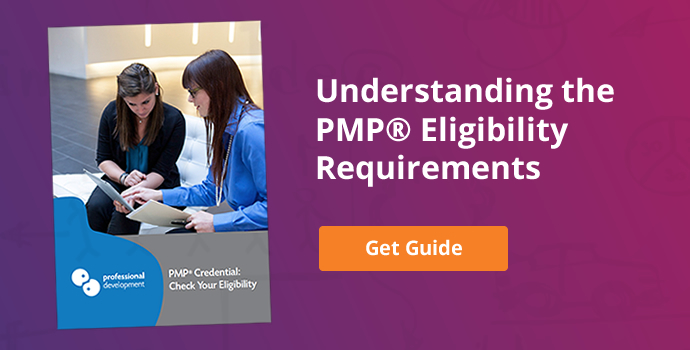 It can be difficult to evaluate whether you have enough experience for the PMP® credential, or decide if it's the right path for your career. 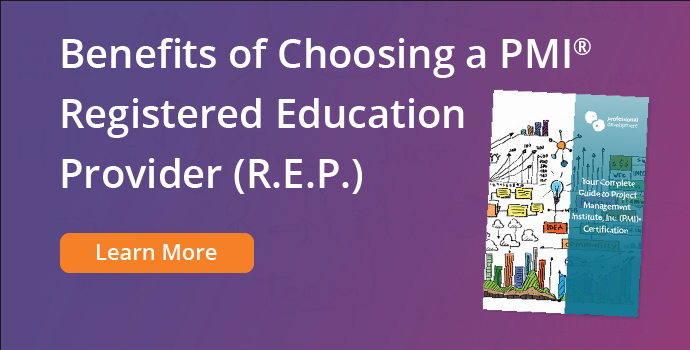 We've outlined the statements below to help you make the right choice. 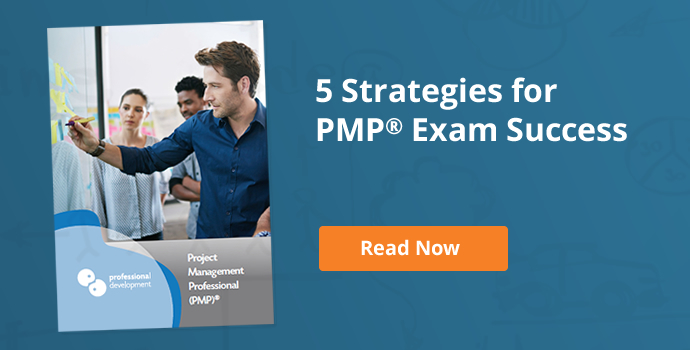 If you are an experienced project manager and your answer is "yes" to any of the following statements, our PMP® exam prep course could be the perfect next step on your project management career path. 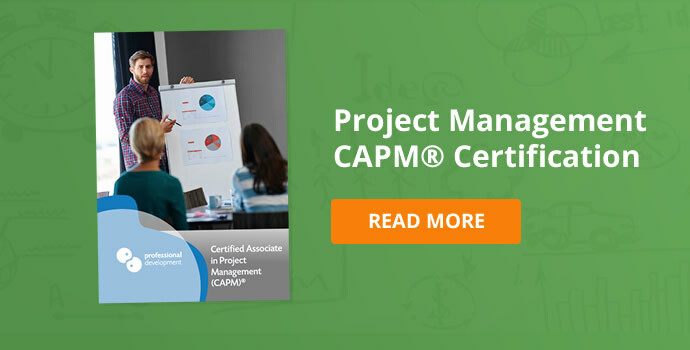 Your goal is to gain a respected, international credential in project management. 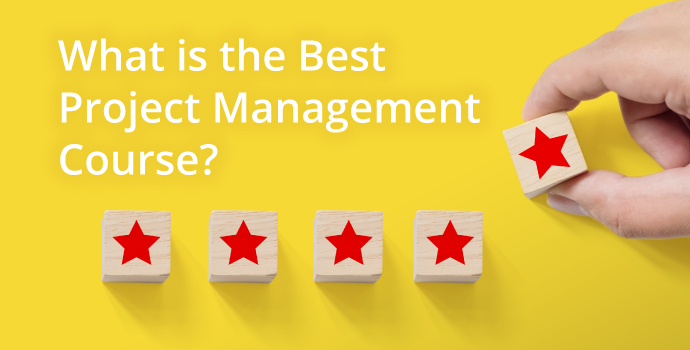 You want to develop your existing project management skills. 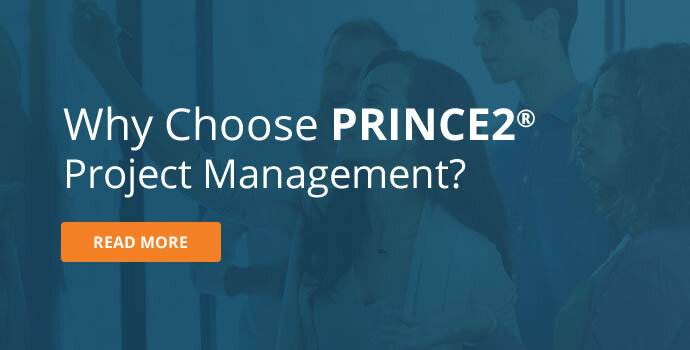 You need a project management framework that can be adapted to suit every sector. 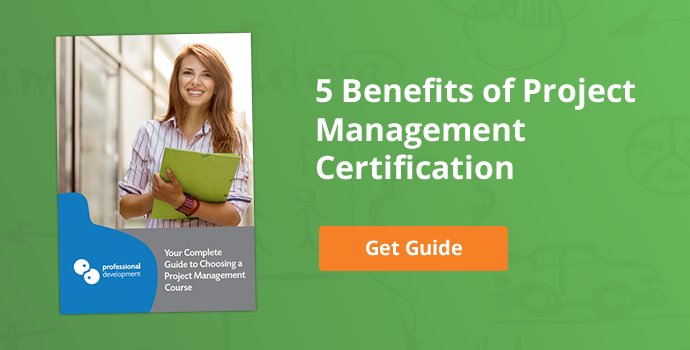 You need a project management credential you can travel with. 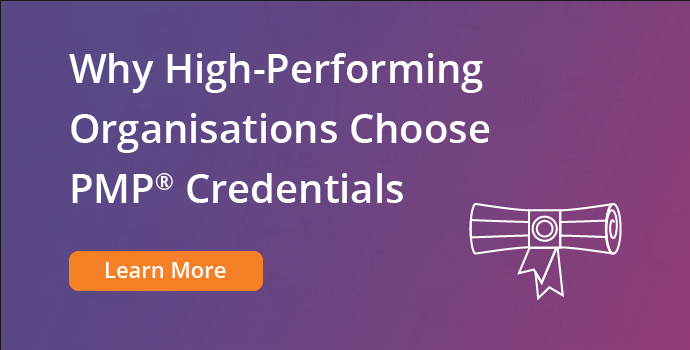 You are seeking increased salary potential. 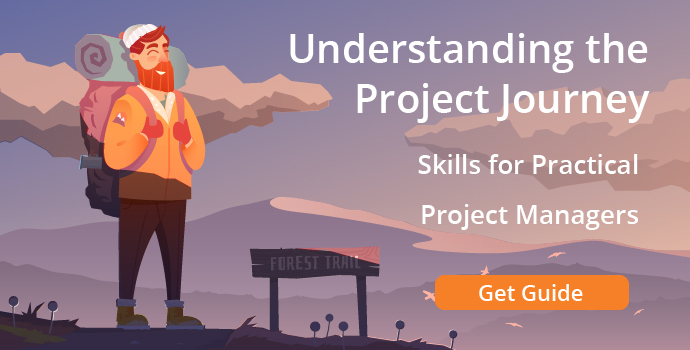 You want to progress your current role. 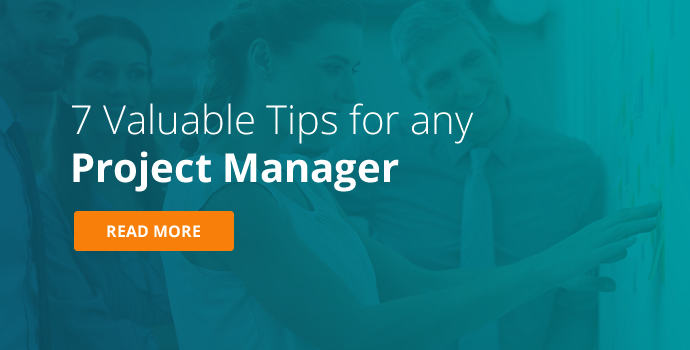 You're an experienced project manager with 3+ years experience leading and directing projects, plus a 4-year degree. 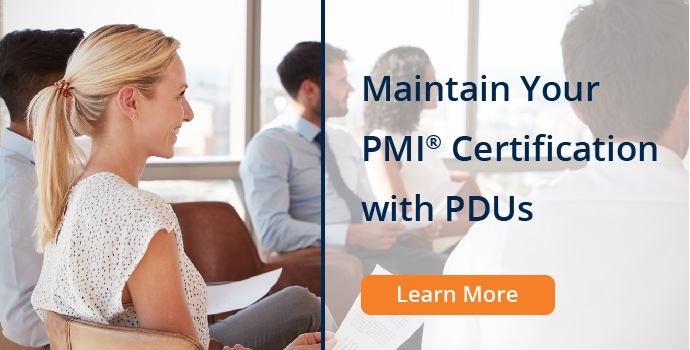 Our 4-day PMP® Exam Prep course is intensive, and designed to set you up for first-time success when sitting your PMP® Exam. 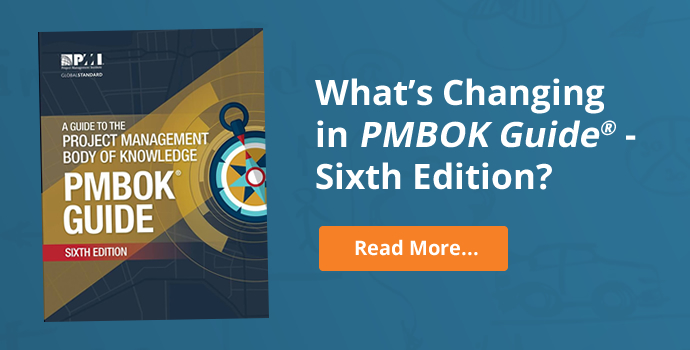 Our focused training format is aligned with A Guide to the Project Management Body of Knowledge (PMBOK® Guide) - Sixth Edition. 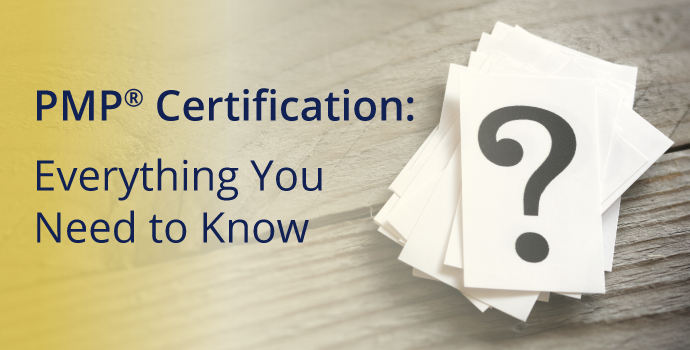 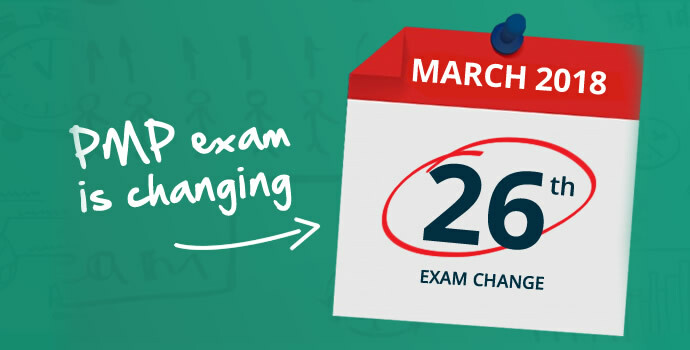 Click below to visit our main PMP® Exam Prep webpage, or to ask us a question about your training needs. 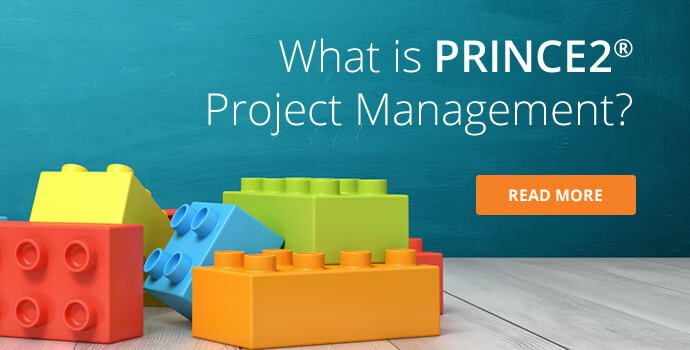 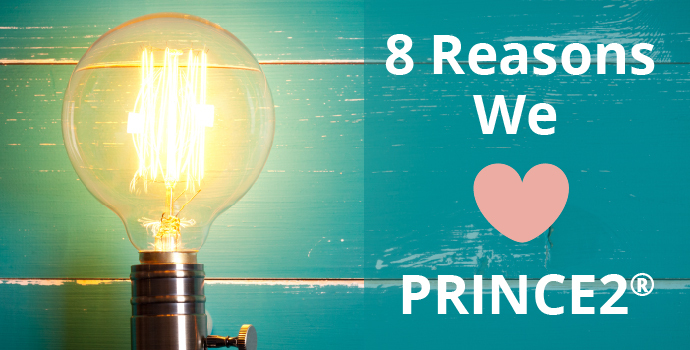 Blog » Project Management Blog » Is PMP® Right for You?